Imagine it. Build it. And go to a brand new place. Students learn how to create immersive environments so they can build what’s in their brains. 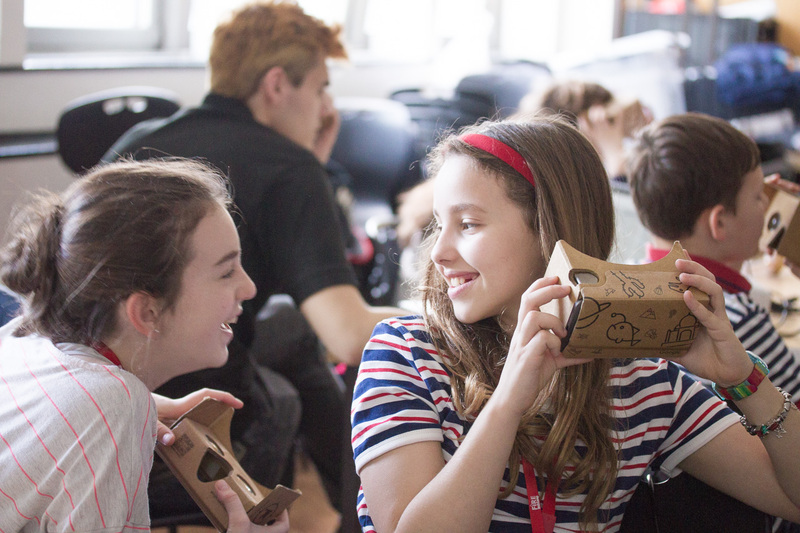 This course is designed for primary aged students who are looking to learn about one of the most rapidly developing and exciting areas of technology – augmented and virtual reality. Virtual Reality (VR) endeavours to simulate real-life situations through the use of three-dimensional computer-generated environments. Augmented Reality (AR) on the other hand is the integration of digital overlays to enhance the physical world around us. During this course the students will learn about how to use the newest AR & VR creation tools and use them to create and code their own augmented and virtual experiences. You can read our AR/VR Blog Post to see how this technology will affect your future. A When you get to the booking page you can put in your supplier and you will get an automatic email with the account details you need. Any trouble just give us a call!